Aloha from the Pacific Ocean! For the next month, we will be using some amazing autonomous robots to explore an ocean eddy in never before seen detail. Eddies are large circular currents (10s-100s km) that can rotate clockwise (anticyclonic eddy) or counter-clockwise (cyclonic eddy) and are common features that occur in the North Pacific Subtropical Gyre (NPSG), the region of the ocean that extends from Alaska to Hawai‘i. The circular motion of eddy currents effectively traps the water inside, changing the local ecosystem and affecting the community of microbes that remain. Marine microbes play an important role in maintaining well-functioning marine ecosystems: they produce 50% of the oxygen we breathe and make up the foundation of the food web that ends in the fish that we eat. Microbes are also responsible for removing much of the carbon dioxide that we have been adding to our atmosphere, via the oceanic “biological pump.” Without these core functions the health of our oceans, and therefore the habitability of our planet, becomes a serious concern. Understanding how microbes maintain our oceans – especially during times of change – may become critical to maintaining our way of life. 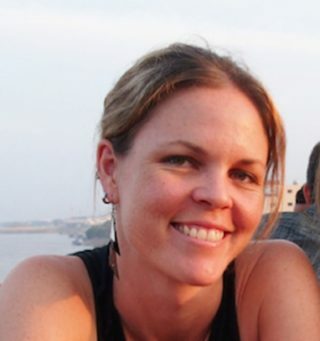 However, sampling for microbes in the open ocean can be challenging. 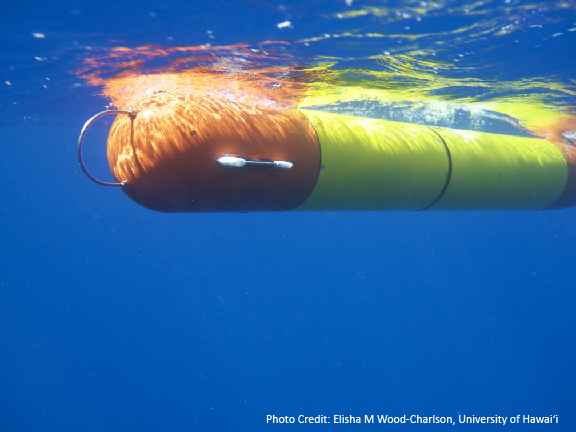 In oceanography, we would typically lower a CTD sampling device into the centre of an eddy. As the device descends into the ocean, it transfers data (CTD = conductivity, temperature, and depth) to scientists on the Falkor. Scientists then use that data to trap a sample of water as the device returns to the surface, based on features detected on the way down. But just as the movement of the eddy keeps microbial communities inside, that same movement makes interesting features and their associated microbes hard to sample. Our traditional sampling strategies are unable to accurately track and sample with the resolution we would like. So on this cruise, we are testing an entirely new way of exploring eddies. Through a collaboration between the University of Hawai‘i and Monterey Bay Aquarium Research Institute (MBARI), Autonomous Robots became the answer. 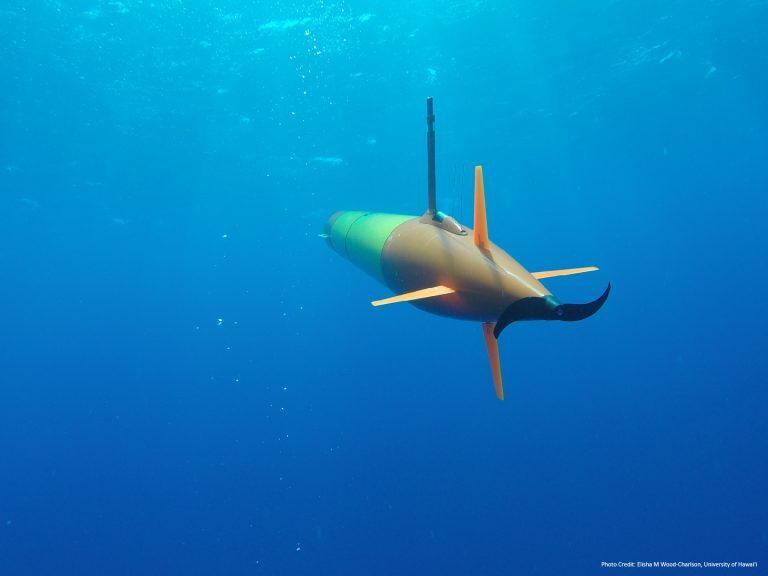 Long Range Autonomous Underwater Vehicles (LRAUVs) will be programmed with missions to detect features inside the eddy, and search the eddy for feature of interest (such as change in chlorophyll or temperature). When a feature is discovered, the LRAUVs lock in and can track the feature for days at a time. 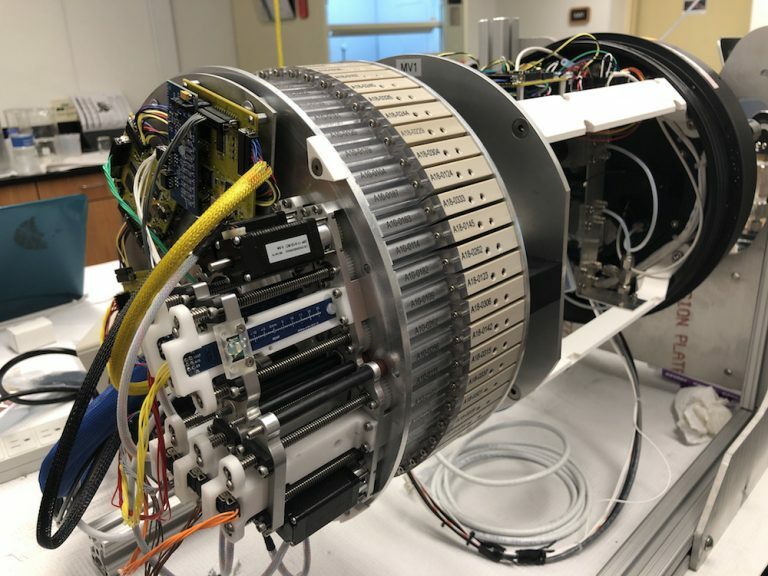 While it tracks the feature, an internal Environmental Sample Processor collects seawater and the microbes thriving within the feature, in real-time. 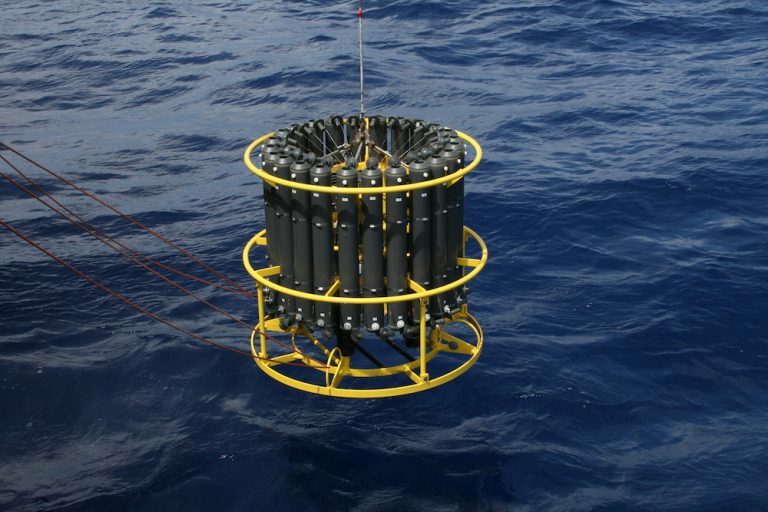 This gives us the ability to sample the ocean with much more accuracy and resolution than previously seen in the field of Microbial Oceanography. These new robots are able to give us a novel perspective on – and deeper understanding of – these common yet rarely glimpsed features. You can follow our eddy exploration adventures online on Facebook, Twitter, and Instagram using the hashtag #MicrobeEddyBots, and follow us in real-time on a map hosted by UH Mānoa that shows the position the Falkor (star icon) and the LRAUVs Opah and Aku (L = LRAUVs). Later today, we will head towards a strong cyclonic eddy feature north of Maui for our first eddy exploration.